It’s a warm summer’s day and, as I make my way towards the workshop in the distance, a light breeze brings with it the scent of leather and wood; the air is alive with the burble of revving engines and clattering tools, and through the open shutters I can see the curvature of an aluminium chassis. 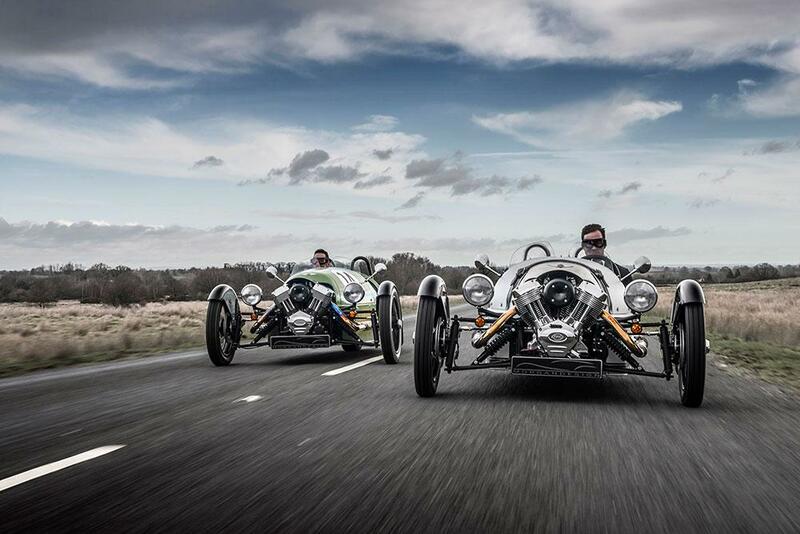 I’m walking along Pickersleigh Road, Malvern, Worcestershire, the home, since 1913, of Morgan Motor Company. 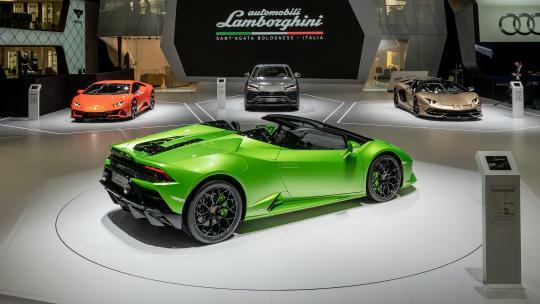 Today, the business remains family-owned, its 200-or-so employees manufacturing between 800 and 1,000 cars each year. 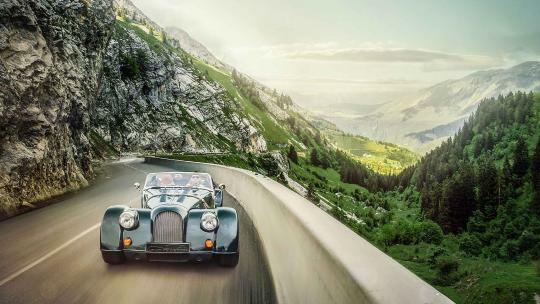 The Morgan story began in 1905, when engineer and former Great Western Railway employee, Henry Frederick Stanley, opened a garage and dealership in Malvern Link to tend to the needs of the bourgeoning automobile market. By 1909, Stanley had produced his first automobile, the famous Morgan Three-Wheeler, by installing a motorcycle engine with a simple transmission into a vehicle with two front- and one rear-wheel. The Three-Wheeler is still in production today. Morgan introduced its first four-wheel car, the 4-4, in 1936. A simple ash-framed, steel-panelled racing car, the 4-4 was designed with durability and lightness in mind, and, along with six other models, including an all-electric Three-Wheeler, it too remains on the production line today. 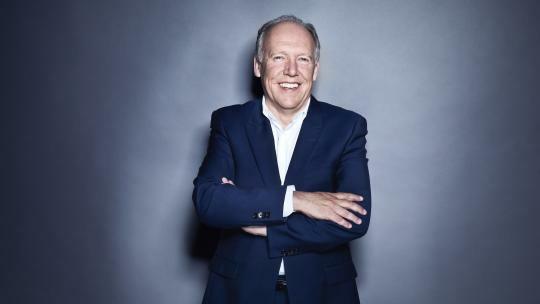 As I make my way into the workshops with company MD, Steve Morris, he tells me more about the production process. “Our three core materials are ash-wood, aluminium and leather, and our three most celebrated craftsmanship methods involve all of these materials.” These methods, which come to life in the surrounding wood shop, tin shop and trim shop, remain little changed from a time when cars were a rarity. Yet it’s not all glassy-eyed nostalgia: “The production of Morgan cars has continually evolved and improved over the years,” says Morris. 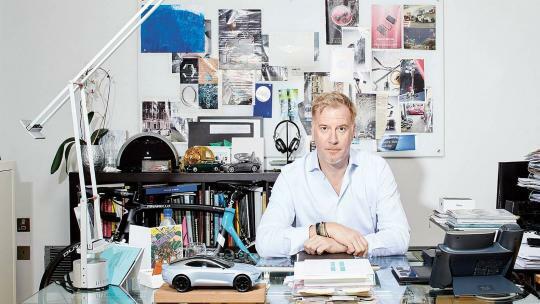 “Craftsmanship remains at the heart of everything we do, but we are increasingly introducing technology to both our production methods and the vehicles themselves. 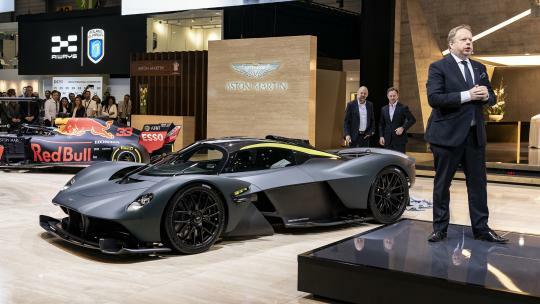 A more efficient production line means that we are able to build more cars and react faster to demand spikes.” While aluminium panels and chassis are now laser-cut, and electrical systems having been added, each car’s ash frame, interior finishing and exterior detailing remain crafted by hand. We enter the chassis shop, where every vehicle’s life begins. Here, the engine, gearbox and electrics are installed into a lightweight aluminium frame before it is moved into the wood-shop. 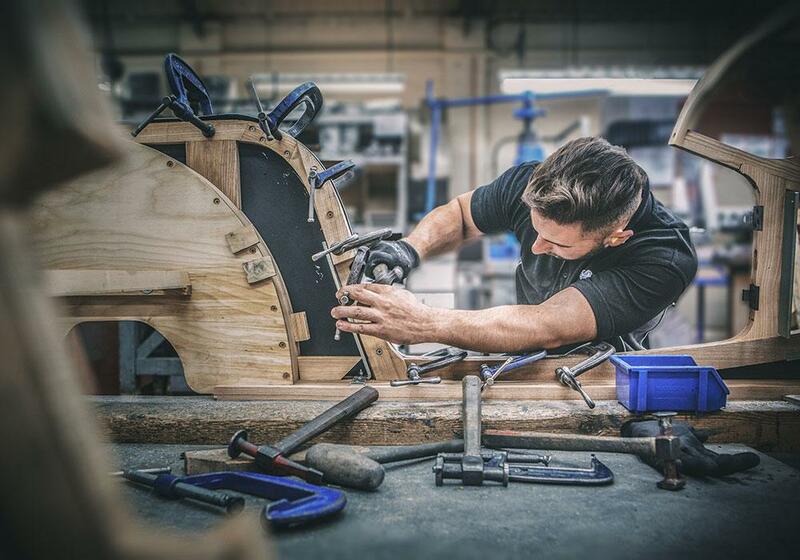 Adhering to traditional coachbuilding techniques, ash wood still forms the structure to which the hand-beaten aluminium body must be affixed. Through a process of manipulation using steam and wooden jigs, each frame is entirely formed and assembled by hand. “Ash has been used in Morgan production for over 80 years and it’s a tradition we are very proud to continue,” says Morris. “Our use of ash is not purely romantic. 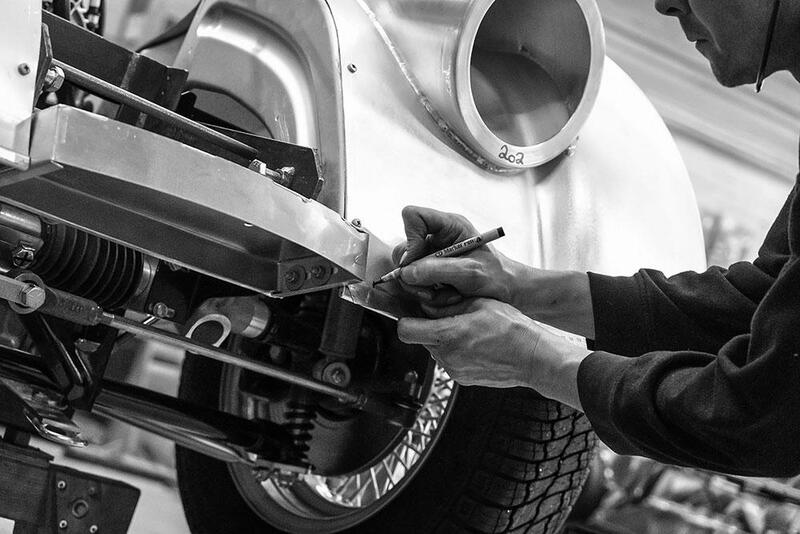 Ash has good properties; it’s lightweight, easy to work with, grows very straight and provides the perfect basis for the frame to which we can apply the aluminium body panels.” As every ash frame is different, it’s the task of the craftsmen and women to hand-beat, roll and create louvres so that the bodywork fits the frame perfectly. In the trim shop, every Morgan requires a minimum of four leather hides. It takes more than 30 hours to upholster and trim each car. Says Morris: “skilled leather trimmers use specialist tools to mark, score and trim the hides, before intricately fitting each piece into the cockpit. 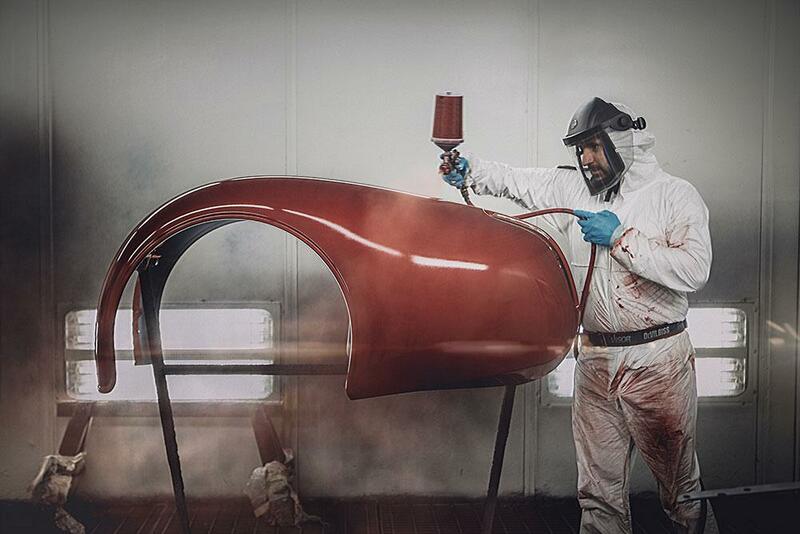 Finally, each vehicle is hand-painted onsite. Colours are not limited to a stock range of paints; customers can choose any colour or shade they desire. I’m told that Morgan can colour match anything from a teacup to a jumper, so the colour scheme is limitless; a rather rare service – Rolls-Royce and Bentely notwithstanding – in the modern automotive industry. 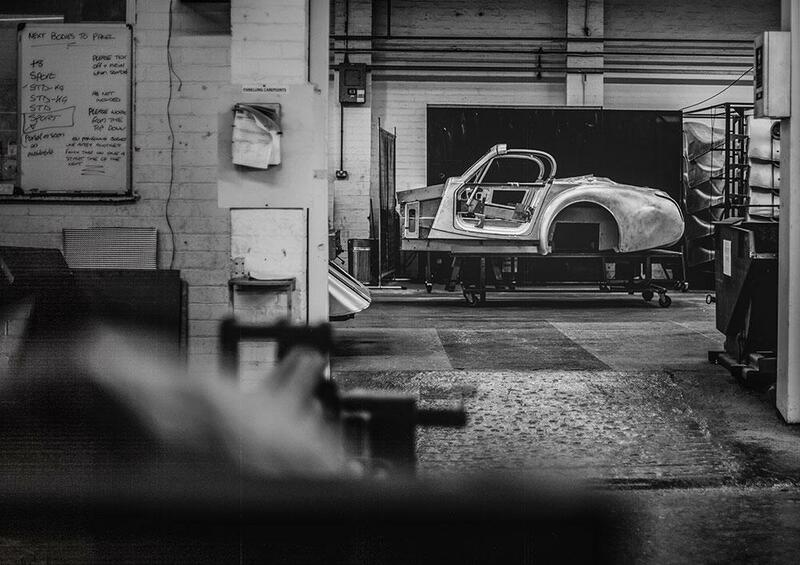 Morgan could diversify, modernise its production processes, install machinery to replace many of its employees, but to do so would detract from everything that the company represents – hand-made cars manufactured the old way in Blighty. Long may it continue.